The multipurpose startup WordPress theme is creative, smart, elegant and feature-full. It serves as the perfect skin for websites built for startups, IT companies, tech startups, online businesses and for all those searching for a strong, professional and impactful platform to bring forth the innovative ideas for their business and want to establish themselves in the world of business among other corporate biggies. 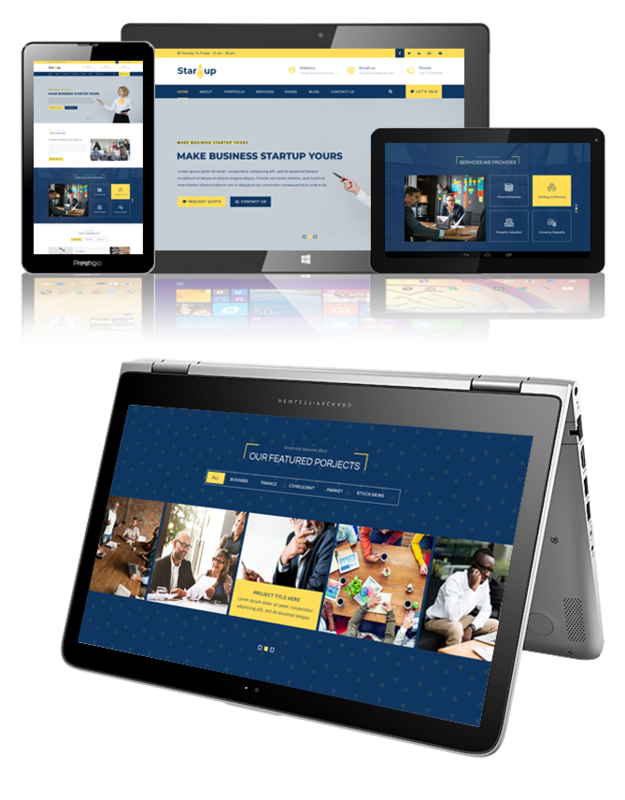 This multipurpose startup WordPress theme has wide range of options of sidebars, layouts, colours, fonts, header and footer to style the website according to your specifications. It has made good use of banners, sliders and call to action buttons to make the site more efficient. This multipurpose startup WordPress theme is fully responsive, cross-browser compatible, translation ready, SEO-friendly and surprisingly lightweight. It can be easily customized to your heart out through theme customizer. These changes can be previewed through live customizer at the run-time. It has a testimonial section to get feedback from customers and clients about your services. Among other custom post types, gallery, subscription form, latest news and recent blogs are some of them. The various sections designed according to the need of a startup business can be enabled or disabled anytime. With this multipurpose startup WP theme, you get access to the dedicated customer support and theme updates. In this premium membership, you also get support for adding custom CSS/JS.